Strings, strings and strings. They are all over in your application. You cannot avoid them at all. 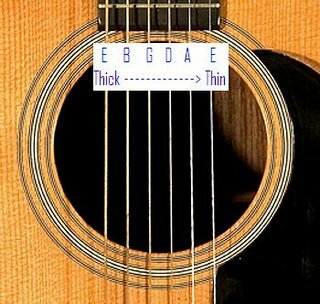 This article is about some tips on how you should use strings within your application. Most developers know these tips, but I still see some developers write inefficient code. Often developer concatenate string using + operator. Some developer use StringBuilder class in System.Text namespace. So which one you should be using? It depends. For example if you have few strings that need to concatenate, then ‘+’ operator would just be fine. However if you have so many of them, it is better to use the StringBuilder class. The reason is that direct string concatenation will always consume more memory as it creates String objects for every instance that it creates. On the other hand StringBuilder is a complex type, which require instantiating once (also take up a negligible start-up time), and Append method is much faster, better CPU and efficient memory usage. Because of the tiny start up cost of instantiating StringBuilder class, it is preferable to use ‘+’ operators for when concatenating only few strings. Some of you would argue the lack of readabilty on Legth == 0, but the truth is the Length comparison is the most efficient. If you need to check for null or empty string then String.IsNullOrEmpty() is also better on performances. Common string classes in .NET framework store string in memory. If you are dealing with very sensitive data, then storing in memory is not the most secure way. For this you need to use SecureString class which is System.Secure name space. Unfortunately you cannot assign a string to the secure class. Please find more information on Secure String below. Many developers tend to use the case insensitivity to compare two strings. This is not really efficient when comparing two strings. The regular expression engine in .NET is extremely good. but is not the most efficient method of simply comparing two strings. The below code is bit of a overkill. However there is a much efficient way to compare strings using String.Compare method. The below comparison does the same thing, but it is the most efficient. More information is on ordinal string comparison is below. I mentioned previously that string literals create a new string object. It doesn’t mean that you should not be using string literals at all. For example using string literals directly in your code assist readability of your code and have better performance than using string constants. Having said that if you have number of strings being used in you code over and over again, it is still better to define the string constants as the performance gain I mentioned above is not really significant. As you know changing strings in many places is often painful than declare it once, and use it wherever and wherever you want is lot easier. The above are some of the examples that I tried by my self to prove better and efficient way of string manipulations. However there are many other string manipulations techniques which I haven’t mentioned here and worth trying. For example splitting strings, replacing strings, removing strings etc. It is very easy to check these operations, and all you need is micro-benchmarking fascilty. I use System.Diagnostics.Stopwatch class for benchmarking but there are other techniqes as well. As a final note always be mindful when perform codding, and use these techinques so you would write efficient C# code.